Being Canada’s official horse, the Canadian horse can be described as faithful, hard working, dedicated to humans and keenly intelligent. Brought over from Europe in the 1650s, the Canadian horse adapted well to the demands and harsh Canadian winters therefore has been branded “the little iron horse”. They are hardy, hard working and “easy keepers”. During the First World War, most were sent overseas to support the troops as war horses, almost driving them to extinction in Canada. A major effort during the 60s helped their numbers rebound, and the breed is now acknowledged as versatile, intelligent and talented. Unfortunately, active efforts are still needed to keep the breed thriving. At Serene View Ranch, we have three Canadian horses who are part of the equine-assisted psychotherapy program. They reside on the property, living outside a large majority of time, as they prefer to be free to roam and just be horses. We feed the horses haylage in the winter, leaving them to eat whenever they want (ever hear the expression “eat like a horse”?). We also have a heated waterer, a shelter from the elements and access to wooded areas so they can protect themselves from the wind or the sun. Mia – After losing my long time Quarter Horse companion, Sissy Jack, 14 years ago, I could not convince myself to consider another horse. Time and great friends eventually led me to look for a Canadian horse, a rare breed in Atlantic Canada. Mia lived outside of Ottawa and I found her on the Internet. Unfortunately, the sellers were less than honest, and despite a veterinary check, she arrived in PEI with a chronic ankle injury. This led to very little riding, but lots of time spent on the ground with this marvellous mare. She led me to understand that being with horses was often more important than riding. Mia is now the dominant mare in the herd at Serene View Ranch and, despite her chronic pain and limited abilities, she is always watching over her herd. We lovingly call her “Mama Mia”. Jack – He is four years old and the son of Mia. He was born on Earth Day, April 22, 2010 and is a very grounded horse. I met him when he was only two hours old and it was “love at first sight”. Jack knows no fear and truly sees the good in life and others. He still thinks that he is a baby, so he may snuggle a bit too much at times. Jack likes being himself and loves all the attention that he can get. He is very sensitive to clients and seems to sense physical pain/injuries in clients. Rambo – He comes from a small farm of Canadian horses in Quebec and he arrived on PEI six years ago. At that time, he had just finished a 20-week college course in Lapocatiere, Quebec, a college that specializes in the certification of horse trainers (I like to say that he is a college graduate). Of all the horses that I have known, Rambo has been my greatest challenge. No, he is not a bad horse. He is keenly intuitive, very sensitive and cannot be influenced by anything other than authenticity. Rambo is loyal, dedicated and watchful. I call him “the wounded warrior” as he is bigger than life, but has been impacted psychologically at some point in his history. His hypervigilance is well developed and he has fully mastered the “flight” part of the “fight or flight response” that is often talked about in PTSD. The saying ” horses don’t lie” holds true for him. In equine-assisted psychotherapy, he is perfectly fine with true emotion, even if that is strong anger or intense fear. Rambo loves working with veterans and seems to “get” their lived experience. I have grown to always listen to what he is telling me through his ears, eyes and body. Okay, so for many years, I did not understand people who were into miniature horses, that is, until 2014. While attending an EAGALA conference in Texas with Mary, miniature horses were used in the equine psychotherapy demonstrations. These little fellows impressed me so much, that I told Mary, “I’m getting some for our program”. Being a great friend, Mary found some for sale in PEI and by August, three miniature horses landed at Serene View Ranch. Miniature horses are known for their intelligence, quick learning and curiosity. Although they are small, they stand up for themselves and don’t let size get into the way. Another interesting fact about miniature horses is that there are a few programs in the US that are training miniature horses as service animals for PTSD. Jill – Mom to R2 and Jacob, Jill has a deformed front right hoof. She is obviously not able to move as quickly as the other horses, but she seems to manage quite fine. Jill is a bit aloof at times, but yet at other times, seems to really like being present for clients. Although she does not pay much attention to me, she is often the first to say hello to clients who are coming into Serene View Ranch. R2 – Remarkably calm and curious about everything, this 4 year old is accepting and loves to learn. He does not seem to be demanding or in any way anxious. He goes with the flow and just loves to interact with people. Hopefully , he will learn to pull a cart so we can experience the versatility of miniature horses. Jacob – The youngest of the herd, Jacob was born on June 16, 2014. What can I say about this puff fluff of a miniature? Jacob loves attention and has the softest nose in the world. Although small, he finds his way in the herd and never lets himself be pushed around by the others. He also does not mind taking naps wherever and whenever the mood hits him, even in the middle of equine psychotherapy. Rain-Rain is our fourth miniature horse. She was born in the rain at Morning Star Acres, a horse rescue center in New Brunswick. Rain also came home in the rain in April, 2015. We immediately fell in love with this kind little girl with blue eyes. Rain came to us with little horse experience, so it took her quite a while to integrate into the herd. Even now, you can see her standing on her own at times, quite happy being by herself. In Equine Assisted Psychotherapy, Rain is quite engaged when she wants to and does not mind pinning her little ears back when she senses strong emotions. 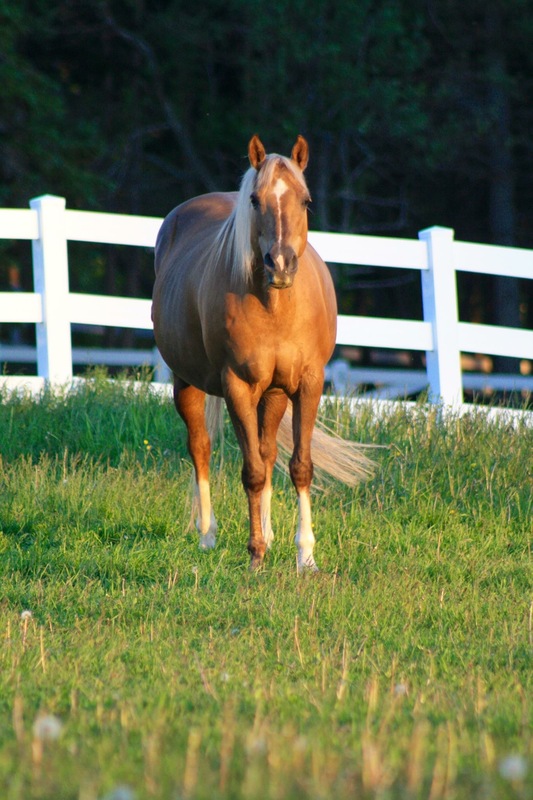 GG -Our Golden Girl, also known as GG, is 21 years old palamino who has had a good career in reining events and has been the mother to 9 foals. GG’s primary role at SVR will is be part of our EAGALA, or on the ground equine therapy. GG has taught many new riders throughout her years at Sumac Farm in New Glasgow, Nova Scotia and is now retired as a therapy horse that is not ridden. GG is the kindest horse who loves to be scratched under her neck and around her face. GG is a mother to all of us. Kaliki- In June, 2017, Philip’s friend, Pat, advised us that they had a 17 year old mare who had been basically abandoned by her owner(life circumstances). Jim and I picked up this detached mare who was a bit underweight and was obviously quite bothered by bugs. Today, I am proud to say that Kaliki has had an amazing year at SVR, she has gained weight, has very shiny fur and most importantly, she is now fully engaged with our clients. Kaliki has been an amazing companion to many of our clients and we feel blessed to have her on our team. Mind you, she still can fidget very well while tied. Fancy- This Western girl came to us from Advocate Harbour and was a Christmas gift to all of us in 2017. Fancy spent most of her life as a 4H horse for a young boy who eventually outgrew this lovely horse. Fancy is a solid, kind and engaging horse. She is very calm, but has her little stubborn streak that we all love as it shows her ability to be herself with clients. She also loves to get lots of attention and gives amazing horsey hugs. Vagus- Arriving only a few months ago, Vagus(as in the Vagus Nerve), who used to be called Annie(her previous owner bought her in Massachusetts while celebrating his wedding anniversary-get it, Annie-anniversary!). Vagus has an interesting story as she was originally from a 300 horse ranch in the States and made her way to Scoudouc, N.B.. We are very happy to have her with us as she is a sweet girl who is curious and just loves the cats. Poutine-This gorgeous mare is 24 years old and has been generously sold to us by Sumac Farms, former home of GG. Poutine is the ideal Barbie horse with her amazing golden mane and tail. We are just getting to know her and she does express herself very clearly with her ears and interesting habit of grinding her teeth. No question how she is feeling when she is doing the teeth grinding!!! Diesel- This 5 year old quarter horse/Arabian gelding is an absolute gem. He just arrived at SVR in May and has found his way into our hearts quite quickly. Although we do not know anything about his history, we do know that a very kind woman adopted him in the last year and spent many hours ensuring that he grew into a wonderful pleasure horse. We are truly blessed that he has landed at SVR and look forward to many years of service to our clients. Doodle-Doodle came to us through Sumac Farms as a young horse that was experiencing issues with her health. Doodle was the most amazing horse I have ever met. She was extremely well trained, super smart and had the best personality that could ever be found in a horse. Unfortunately, despite all the best care that we could offer her, her chronic pain got to the point that we had to euthanize her in March 2018. Doodle was an amazing partner to many of SVR clients and her sudden departure has left a hole in many hearts. We cannot replace a horse like Doodle, we keep her in our hearts forever.